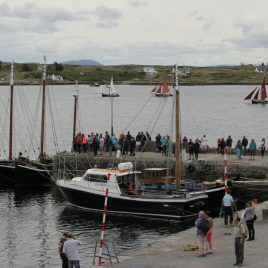 This lovely village, at the foot of Errisbeg mountain, on the west side of Roundstone Bay, was founded in the early 19th century by the celebrated Scottish engineer Alexander Nimmo. Today it is a quiet holiday resort, beloved by artists and botanists. 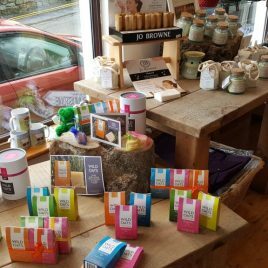 In recent years it has also benefited from a conscious attempt by the Industrial Development Authority (IDA) to blend in a number of small scale industries into a rural setting through the provision of craft workshops. 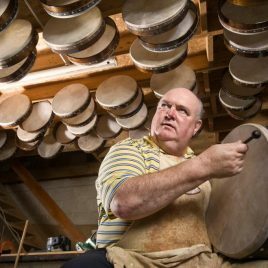 Housed in the IDA craft workshop is well known Bodhran maker Malachy Kearns who can be seen making these ancient drums made from Goatskin. Errisbeg mountain towers over the village. Its easy ascent rewards the climber with a truly magnificent view of the lake-dotted countryside to the north and the fine seascapes in other directions. 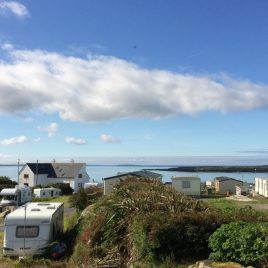 On the Ballyconneely road, about 3 km from Roundstone, are the beautiful sandy beaches of Dog’s Bay (Port na Feadoige – bay of the plover) and Gurteen Bay, and others.